High quality work socks - The Dickies Strong Work Sock is designed to be worn with professional workwear shoes and safety boots. 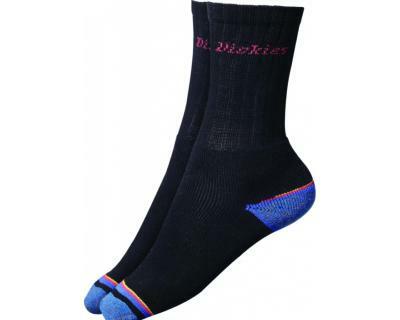 These socks have full cushioning throughout the sole, combined with a reinforced heel and toe area, which are traditionally the high wear zones. In addition the comfort top ensures full satisfaction.